Ever wonder how horseshoes came to be? Read this and you will know! 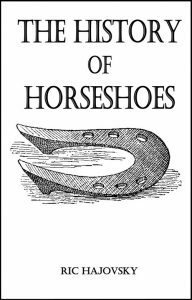 The illustrated history of horseshoes, from the pre-historic to modern times. Includes a timeline of the development of the horse, from the Hyracotherium 55 million years ago to the modern horse, as well as the story of why the horseshoe is considered lucky.